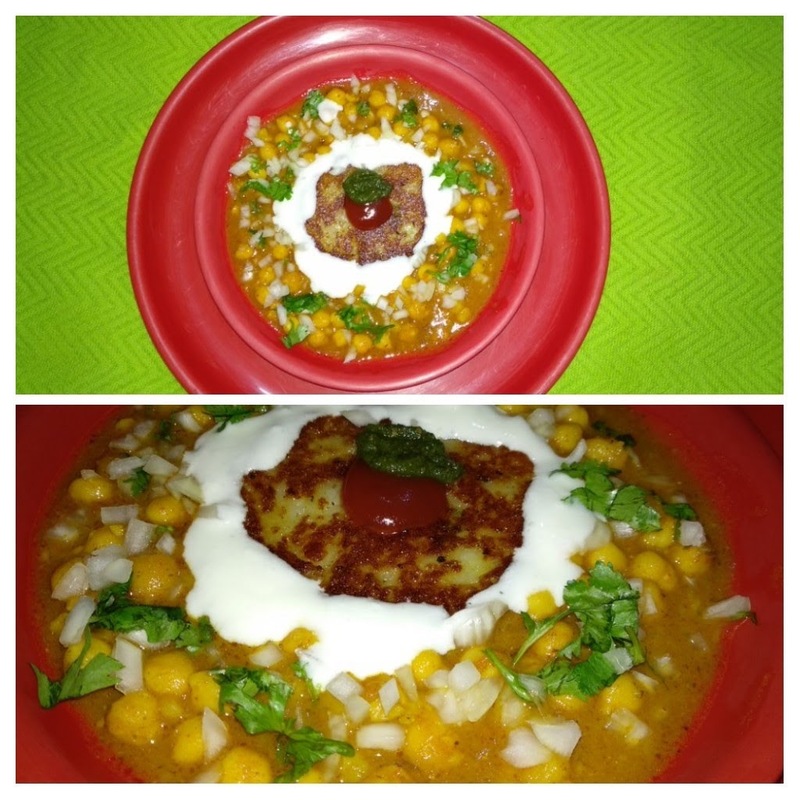 Sharing today, famous street food of India, Aloo tikki with chole. 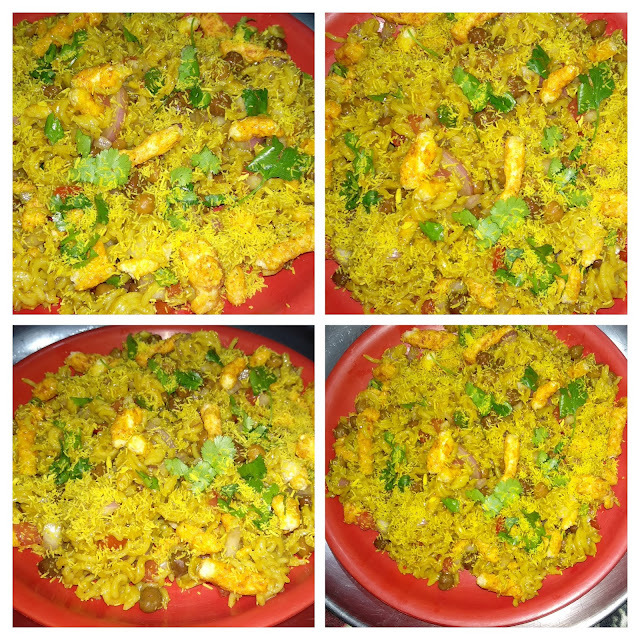 Very delicious and spicy dish, served hot. 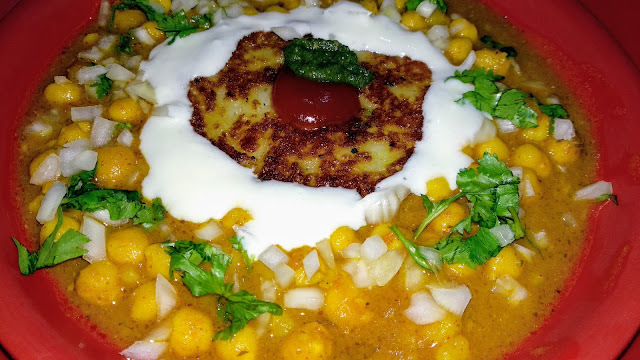 Crispy from outside and soft from inside aloo tikki served in aloo chole gravy, with variety of chutneys and little curd ( optional), loaded with chopped onions and green coriander leaves. Just looks mouth watering. So let us begin. Recipe : Soak the white chickpea overnight in water. Cook the white chickpea with 4 potatos and some salt for 1 whistle in a pressure cooker. Peel the skin of potatoes, mash 3 potatoes separately, and mash 1 potato and keep aside. Remove the sides of bread and grind them in a grinder. In a bowl, take 3 mashed potatoes and grinned bread, green chili, black pepper and salt to taste and make a fine dough. Take 3-4 garlic cloves and 1 tomato cut into cubes in a blender and blend it to a smooth paste. Add all the spices to this tomato garlic paste and mix well. Chop the onion and green coriander leaves finely. Heat 1 tbsp oil in a pan, add cumin seeds, when they crackle, add the tomato paste and cook til it leaves oil. Add the rest of 1 mashed potato and boiled chick pea and mix well. 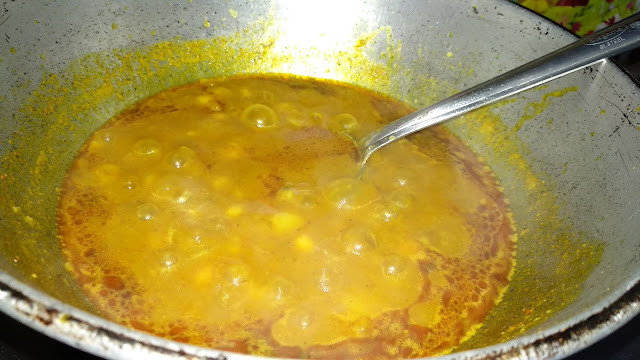 Add 1 cup water and cook on medium flame till the required consistency is acquired. 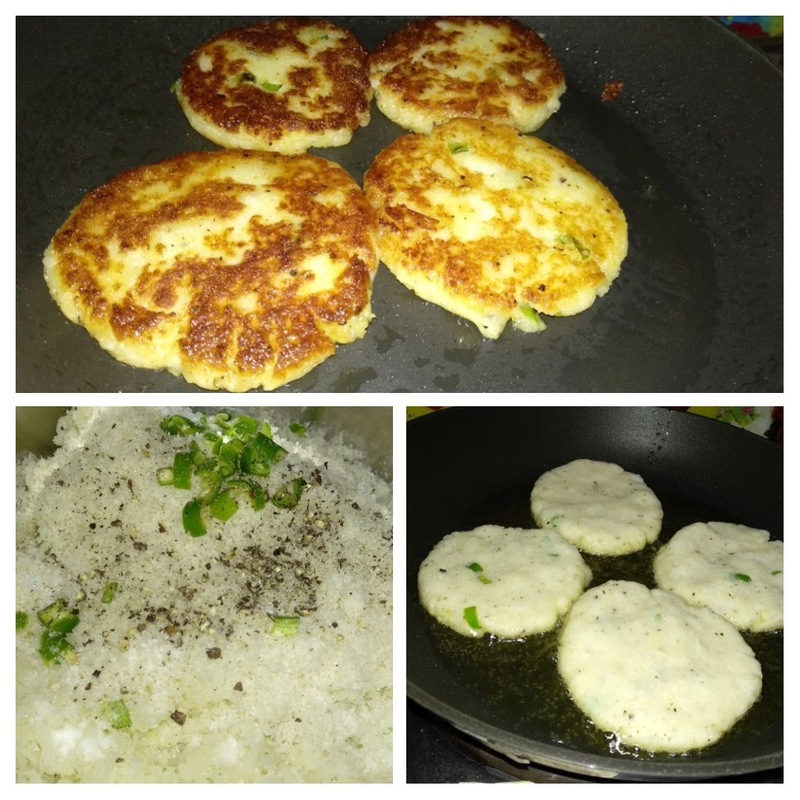 Make round flat tikki from the dough. Now heat a non-stick pan. Add 2 tbsp refined oil, fry the tikki from both the sides on low flame till golden and crispy. You can also use Microwave or Air fryer for healthy option. 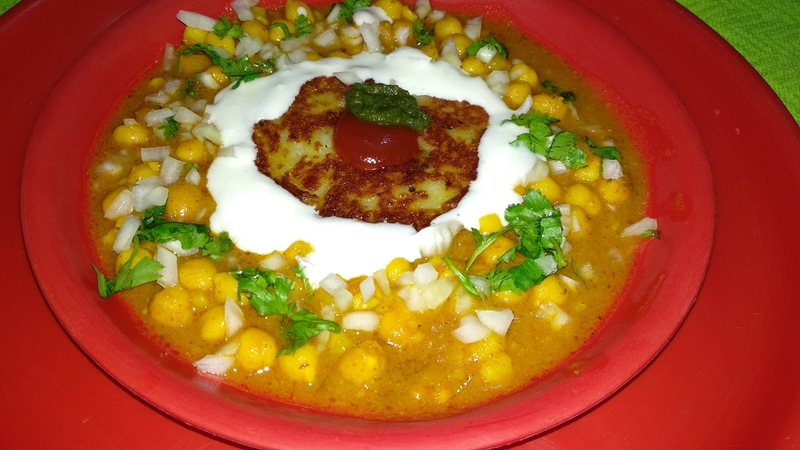 Place the tikki in a plate. Add the chole gravy, chutneys, curd and garnish with chopped onion and green coriander leaves. Spicy and yummy aloo tikki with chole gravy is ready.